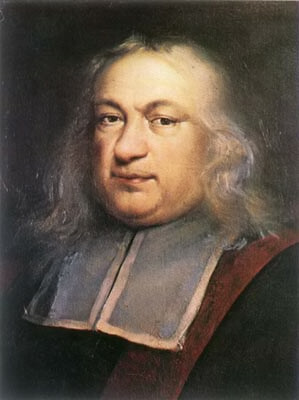 A portrait of Pierre de Fermat, lawyer and amateur mathematician. Image: Author and painter unknown, via Wikimedia Commons. It is not often a person contributes to a field they do not even work in the way Pierre de Fermat has contributed to the field of mathematics. Born to a wealthy leather merchant, Fermat received a bachelor’s in civil law from the University of Orléans and went on to become a lawyer, while at the same time engraving his name into math history books, doing said math just for recreation. His importance in mathematics lead to many theorems named after him, as well as numbers. These numbers are known as Fermat numbers, which are positive integers, that take of the form Fn = 2(2n) + 1, when n is nonnegative and an integer. For example for F1, F1= 2(2)+1= 5. The first five Fermat numbers are 3, 5, 17, 257, and 65537, and these numbers continue to grow to incredibly large magnitudes. Fermat believed this form created an infinite number of prime numbers, which are known as Fermat primes. Fermat numbers are occasionally written as 2n+1, but since when n is greater than zero and Fn prime, n must be a power of two, the form Fn = 2(2n) + 1 is the common form for Fermat numbers. One of the main problems with Fermat claiming all these numbers are prime is the fact that they soon become too large to calculate for even today’s computers, let alone a man with his pen and paper in the 17th century. Unfortunately for Fermat, by the time the 18th century rolled around, he was dead. In 1732, mathematician Leonhard Euler found that F5, which is 4,294,967,297, is actually divisible by 641, most likely figuring this out from having a large amount of time on his hands. While this showed that some Fermat numbers are not actually prime, excluding when n=0 in the form 2n+1, it does not discount the fact that the Fermat number equation could still make an infinite number of primes, since there are infinite amount of Fermat numbers. However as of now, the only Fermat primes that are known are F0 through F4. Now initially I found the idea of an equation, the equation here being Fn = 2(2n) + 1, that finds only certain prime numbers, most of which are way too large to even be calculated even 400 years after the equation for them was created, the equivalent to a student doing extra credit when he has a 98% in his class. What I’m trying to say is, I found Fermat numbers pointless and to be the 17th century mathematician’s version of a braggadocio. However, I know nothing and Gauss managed to find a relationship between “Euclidean construction of regular polygons and Fermat primes,” where he showed a regular 17-gon could be constructed. It was also found a regular n-gon can be created if n is the product of any number of Fermat primes and the number 2. These regular n-gons take the property of being able to be constructed with a compass and straightedge. Who would have thought one of the greatest mathematicians to ever live could leave me feeling so inadequate, at least mathematically. Similar to Fermat numbers are what are known Mersenne numbers, created by 17th century French mathematician and music theorist Marin Mersenne. Yet again a person being a jack of all trades, except instead of being a master of none they were a master of a few or at least of one. Mersenne numbers take of the form Mn = 2n -1, and Mersenne primes are numbers that take that form which are prime. Mersenne believed that for n<=257, Mn was prime for n= 2, 3, 5, 7, 13, 17, 19, 31, 67, 127, and 257, and the rest are composite. While this belief turned out to incorrect, he still got the name for the primes. Just like Fermat primes, it is unknown whether there are an infinite number of Mersenne primes, but as of now 48 Mersenne primes are known, the largest being 257885161-1, which again makes me wonder how much time do some of these mathematicians have on their hands. Mersenne numbers were originally studied because of their connection to perfect numbers, which are positive integers that are equal to the sum of their divisors. Euclid proved that if the number 2n-1 is prime, then 2n-1(2n-1) is a perfect number, which many years later led to Euler discovering that all even perfect numbers come in this form. Another interesting fact is that the ten largest known prime numbers are Mersenne numbers. I personally find number theory incredibly interesting, partly because I like numbers and partly because how mathematicians are able to come with these theorems and proofs baffle me. I ultimately wonder if they had any true goals when thinking about these primes, or if it was just for the pure fun and interest in it. This entry was posted in Numbers and tagged big numbers, Fermat, Fermat primes, Mersenne, Mersenne primes, Number Theory, prime numbers on February 25, 2015 by blackirish05. Numbers and systems for writing them have a very long and varied history. Not every number system used the same base, in fact, some used base 5, base 12, base 20, or even base 60! But wait, you might ask, what is a base? Now, we don’t have to 10 as our base as we did there. We could have used any number other than zero or one. Actually, base one number systems exist: tally marks use base one. However, they are not truly positional number systems. I will not write out any more Babylonian numerals with their notation. Instead I will use parenthesis around normal base 10 numbers. For example, I will write 60 like (1)(0). 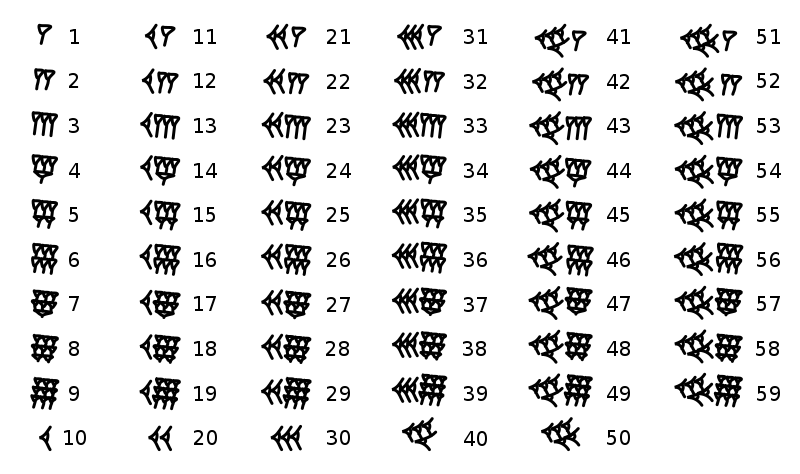 Babylonian numbers were written in a fashion similar to ours. The first numeral on the left was the most significant, or the one representing the largest value. The second one was the second most significant and so on. At first, a blank space was used to mean what we would use zero for. That would have sometimes been problematic, as it might not always be clear how many blank spaces had been left. Around 311 BC a placeholder was added, . It was not the same as our zero. It was only used between other numerals as a placeholder. It never was used at the end of a number in the way we use zero in numbers like 10 or 200. The Babylonian system did’t include a direct equivalent to our decimal point. That is, if you wrote the numeral for one it wasn’t totally clear if you meant 1 or 60. The reader had to know something about what you were writing to be able to figure that out. On the other hand, it is usually pretty clear if a number should be 1, 60, or 3600. You wouldn’t wonder whether you were looking at one ox or 60 oxen! This was a significant advance compared to previous numeral systems such as the non-positional Egyptian one. Before Babylonian numerals, most systems had a different symbol for each power of the base: a symbol for 10, another for 100, and so on. That meant that it was not possible to write numbers larger than a certain amount in those systems. Base 60 numbers have significant advantages over base 10 numbers. 60 is a very nice number. It can be divided evenly by 2, 3, 4, 5, 6, 10, 12, 15, 20, or 30. Ten, on the other hand can only be divided evenly by 2 or 5. This makes a difference in how easy it is to write fractions. In base 10, such a simple fraction as 1/3 does not terminate: 0.33333… In base 60, it is easy to write since 1/3 is 20/60. It would be written as 0. (20) where (20) is a single numeral. In general, it is much easier to write a fraction if it’s denominator is a factor of the base, hence more numbers can be expressed simply with base 60 numbers. One drawback to base 60 numbers is that if you wanted to memorize a base 60 multiplication table, you would have to memorize 1830 entries! In base 10 there are only 55. The angle composing 1/360 of the circle is a Babylonian invention. In base 60 numbers, it made sense to define it this way as 360 in Babylonian numerals would be (4)(0). Furthermore, the degree is divided into 60 minutes and each minute is divided into 60 seconds. Our 60 minute hour also came from the Babylonian preference for base 60 numbers. It has been suggested that base 60 arose from a finger counting system. On one hand, each of the 12 finger bones represented a unit. To represent multiples of 12, the thumb or a finger from the other hand was placed between two different fingers. The Babylonians knew enough astronomy to realize that there are 365 days in a year. In base 60, the 365 is (4)(5). Writing it that way seems a bit tidier. This entry was posted in Uncategorized on February 25, 2015 by davidm3010. Image from MacTutor History of Mathematics. One of the reasons the Mayan numbering system was not a true base-20 system was because it was partially a base-18 system as well. The reason for this seems to be the calendars that they maintained. Robertson and O’Connor state: “The Maya had two calendars. One of these was a ritual calendar, known as the Tzolkin, composed of 260 days. It contained 13 “months” of 20 days each, the months being named after 13 gods while the twenty days were numbered from 0 to 19. The second calendar was a 365-day civil calendar called the Haab. This calendar consisted of 18 months, named after agricultural or religious events, each with 20 days (again numbered 0 to 19) and a short “month” of only 5 days that was called the Wayeb…” (O’Connor & Robertson, 2000). It amazes me what the Mayans were able to do with the knowledge that they had available to them. Much of what we know of the Mayans comes from the few documents that have been preserved and the ruins that have been interpreted, but I wish that more information was available on how they used these systems in their societies and the other ways in which they used mathematics. Ifrah, G. (1998). A universal history of numbers: From prehistory to the invention of the computer. London. This entry was posted in Numbers and tagged base 20, Mayan mathematics, Mayan number system, Mesoamerican mathematics on February 25, 2015 by tb1233. Where do numbers come from, anyways? Mathematicians first came up against imaginary numbers in the mid 16th century and it wasn’t until the mid 19th century that they saw how awesome complex numbers could be. Before we look at how imaginary numbers came to be, let’s look at some other familiar number systems. The next number system we might think about is the rational numbers, or fractions. These also serve to answer really useful day-to-day questions like that involve division like, if I have 6 roommates but only 1 pint of ice cream, what portion of the tub can I eat? This assumes that I’m a fair roommate who would never eat more than her share of the communal ice cream- which leads us to our next number system. 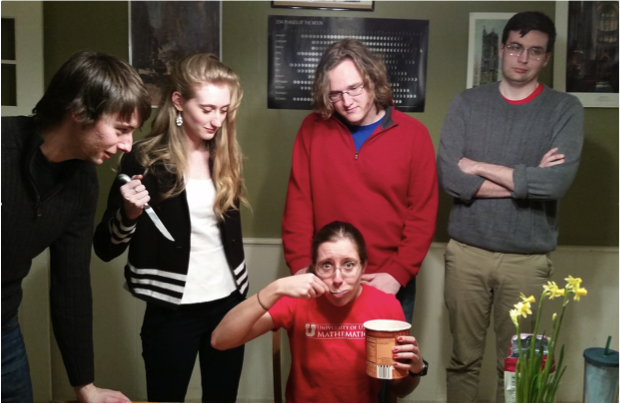 Negative numbers are used to measure debt; like how much ice cream I might owe my other roommates. With these two systems we can count and divide stuff, but we also might have other sorts of problems like how to measure things. Like, for instance, I might need to walk 1 block south and 2 blocks east around a park to get to school, but since I’m inherently lazy (a good quality for all mathematicians), I cut straight through the park, and find that I’ve walked √5 blocks to get to school, which is totally irrational. We have to deal with irrational numbers when we measure distances because it turns out (to the Greeks’ great sorrow) that not all distances can be measured with rational numbers. So what about imaginary numbers? Where did they come from, and what are they good for? In the mid 16th century a mathematician named Tartaligia came up with a general solution for finding the roots of 3rd degree polynomial, but he held his method as a closely-guarded secret. Another mathematician named Cardano eventually managed to convinced the reluctant Tartaligia to tell him the method, on the condition that he would never ever tell anyone else. Well, I think they should make a soap opera about 16th century mathematics because in 1545 Cardano completely betrayed Tartaligia by publishing the solution in his book ‘Ars Magna’. Tartaligia’s method is really important in the history of imaginary numbers because there are some perfectly good 3rd degree polynomials with perfectly good real roots that this method doesn’t make sense for. When you use Tartaligia’s method for these certain polynomials, you get a nonsense step in the middle of the calculation where you have to take the square root of a negative number. x3 = 15x + 4. The real problem (pun intended) was that even though everyone knew that taking the square root of -121 was totally ridiculous, they also knew that the root x=4 was a totally reasonable real solution. There was this breakdown in what the equation was trying to communicate. Conveniently, the ‘imaginary’ numbers cancel out, leaving good real roots! Way to take a leap of faith, Bombelli! Same goes for ( 2 – (√-1)). Neat. About a half-century later in 1637, Descartes coined the term “imaginary” when he wrote about roots of nth degree polynomials in his book ‘La Geometrie’. He wrote that these polynomials might have as many as n solutions, but sometimes they have fewer, as some of the solutions are ‘impossible’, ‘improbable’ and ‘imaginary’. He meant it in a demeaning way- like we should be doing ‘real math’, not ‘day-dream math’. At this point in history mathematicians swept imaginary numbers under the rug; they cautiously imagined that they might exist but only for long enough to cancel out and yield real solutions. It wasn’t conceivable that they might be useful by themselves. The complex number system was really first understood as the incredibly powerful mathematically tool that it is in the 19th century when Gauss took an interest in imaginary numbers. He came up with a geometric interpretation for complex numbers (which, to be fair, was also independently discovered by the Norweigan mathematician Wessel and the French bookstore manager and amateur mathematician Argand). Gauss’ interpretation was that the imaginary number line is just like the real number line, so a complex number (a number with a real and an imaginary part) is actually a coordinate in a plane, like in the image below. We just say that real numbers lay on the horizontal axis, while imaginary numbers lie of the vertical axis. The really amazing and exciting thing about this description is that it’s totally consistent with operations we might like to do on complex numbers, like addition and multiplication. Consider what happens when we multiply by i, for instance 1*i. We rotate 90 degrees, from the coordinate (1, 0) to the coordinate (0, 1), so we can say that multiplying by i is the same as rotating by 90 degrees. Then consider i*i (which is i2): we rotate another 90 degrees and end up at -1! Neat! Later in the 19th century complex numbers got a lot of traction because they turned out to be very good at describing waves. At this point in history, physicists were developing ways to describe electricity and magnetism, and complex numbers enabled them to really understand these phenomena. The neat thing about complex numbers is they show up everywhere in our day-to-day lives. Anything you have that uses electricity only works because some engineer somewhere knew how to build it using their understanding of imaginary numbers. Can you even imagine your life if you couldn’t send your mom photos of other people’s dogs? Any time you snap a photo or make a phone call your phone does a Fast-Fourier-Transform, which is a method based on complex numbers, to compress the data into just tiny amounts of storage. 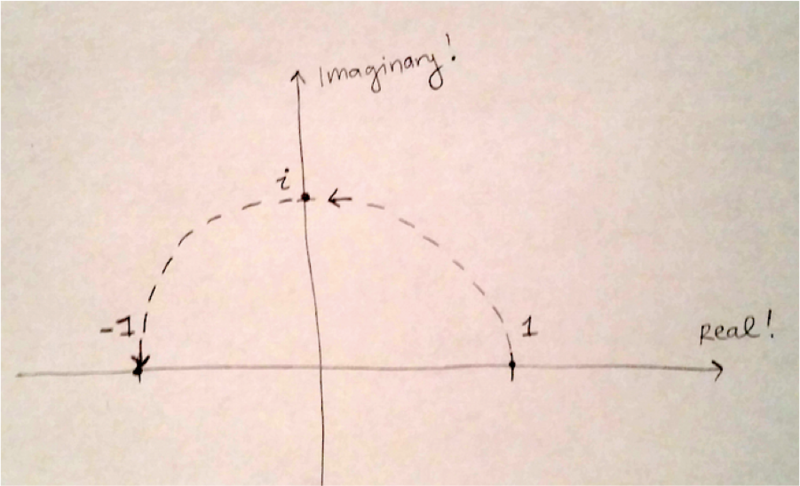 So do imaginary numbers really exist? Complex numbers are great representations for lots of natural phenomena, like electricity. Remember how we used our other number systems- like how we used integers to count how many grapes I could fit in my mouth? In some sense, it’s just the grapes that exist, not that the integers. The integers exist mathematically- they’re only there to describe the real world, and this is true for every number system. In this sense, not only do imaginary numbers ‘exist’ mathematically, but they’re first-class citizens because they describe so many awesome things that we use every day. 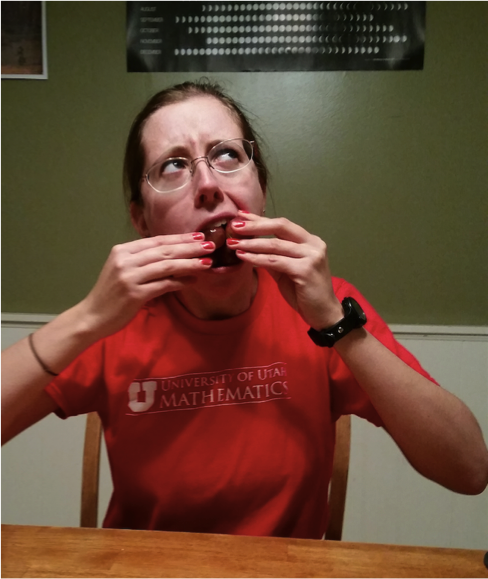 This entry was posted in Numbers and tagged complex numbers, irrational numbers, negative numbers, rational numbers on February 25, 2015 by anniecherk. In our studies of math, we learn from hundreds of individuals who’ve greatly influenced our perspectives of mathematics. These famous individuals created various theorems and proofs, and left us with questions to resolve. Individuals such as Euclid brought us marvels that were passed on for generations. His book The Elements created a foundation for many mathematicians, and helped them find breakthroughs in science and math. Unquestionably, our society and technology may not be where it is if it weren’t for these individuals. As we look at our own development of math, we learn names such as Pythagorean and use it repeatedly throughout our math education. Although the works of these persons are marvelous, there are many mathematicians and scientists who are unknown. They may not have found a theorem that completely changed the world around us, but they contributed towards something equally great. Truly these are our unsung mathematicians that are unknown to the world but known to the few who’ve learned or specialized in the field of math or science. 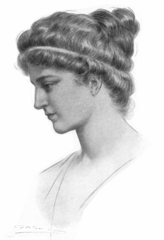 One individual that I’ve found and never heard of before was Hypatia. Her biography may not be found in a history book about Rome, but she was an influential person to those around her. She is considered to be the first female mathematician known. Personally, reading about her impresses me because the math profession at the time was highly male dominated and lacked women. I can imagine that she had to go through many challenging experiences to prove herself as a respected mathematician. Her life could be seen as a tragedy and it is even romanticized in the 2009 film Agora, but those who knew her revered her greatly. Depiction of Hypatia. Image: Public domain, via Wikimedia Commons. There is little information about where Hypatia was born or even a birth date. Scholars believe that she was born between 351 AD and 370 AD. Around this time period, Rome was in a slow decline, and there were civil disputes because of the influence of Christianity. Her father Theon was a well-known mathematician and astronomer who taught Hypatia the foundations of her knowledge in those fields. It’s significant to note that Theon was the last known survivor of the Museum of Alexandria and played a part in the preservation of Euclid’s The Elements. Hypatia and her father Theon would collaborate on commentaries on classical mathematical works, and she would eventually have students of her own. As she followed her father’s footsteps, she also developed knowledge in philosophy and became head of the Platonist school of Alexandria. She primarily taught the works of Plato and Aristotle and it was recorded that many people would come from different places to learn from her. She would wear the robes of a scholar and nobody questioned that she didn’t wear the traditional female clothes. Her work was well respected everywhere and it simply didn’t matter how she appeared to her audiences. The people of Alexandria revered her as a virtuous figure and an intelligent scholar. She believed in Neo-Platonism, a belief system that states everything emanates from the One. This belief system states that the One is considered God or the Good of all things. But what’s interesting is that the One is neither existent nor a being. This abstract thought provoked the teachings of Christianity and most likely made Hypatia a target for zealots. Although Hypatia’s beliefs conflicted with others of the Christian faith, she tutored Synesius of Cyrene who later became a bishop and incorporated Neo-Platonism into Christianity. 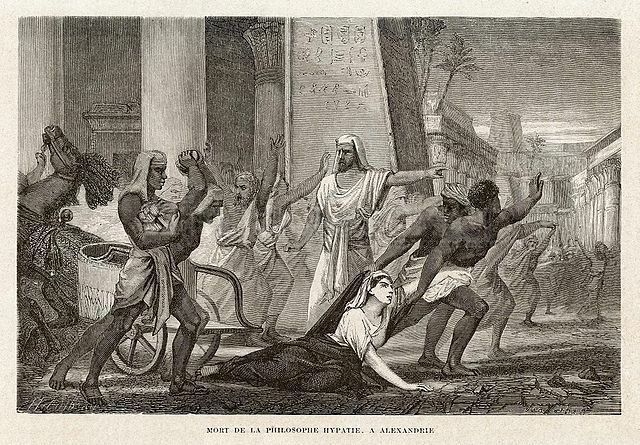 Depiction of Hypatia’s Death. Image: Public domain, via WIkimedia Commons. Hypatia’s popularity to those around her eventually led to her own death. There are a couple of different accounts of her death but it basically resulted from a dispute between her friend Orestes, the Governor of Alexandria, and Cyril, the Bishop of Alexandria. Whatever conflict or feud these two individuals had, this led to Hypatia being brutally murdered by a mob of Chrstian zealots. There are two different documentations of this event and little is known how old she was when she died. Although she was murdered, her students fled to Athens and the school she taught in Alexandria continued her teachings. Many of Hypatia’s works were destroyed around 652 AD when the Arabs invaded Alexandria. However, a couple of letters that she exchanged with her students were still available. One of her students mentioned before, Synesius, exchanged a letter that talked about a hydrometer and astrolabe. These writings expanded on the concepts and structures of these two objects. Some other works that she has done, in collaboration with her father, were commentaries on Arthimetica by Diophantus and The Elements by Euclid. Hypatia leaves a legacy that has been seen as an inspiration or tragedy. Many politicians, poets, and writers used her death as part of a cause for them and to influence others. I see her as one of our history’s unsung mathematicians who had so much more to give if she had lived longer. As time has progressed, we live in a day and age where there are more opportunities for unsung heroes such as Hypatia. Because of technology and access to colleges and universities, anyone can study mathematics. Although you and I may not be the next Euclid or even Hypatia, our small contributions and interest may eventually lead to something great and we can be known as the unsung heroes of our generation. This entry was posted in Women in math and tagged Hypatia on February 24, 2015 by jsieng812.